This year, memories and magic are sure to be made in the inaugural year of the ROC Holiday Village, an enchanting holiday experience that will be taking over MLK Park for the entire month of December. The goal is to give the entire city a central gathering place for families throughout the winter holiday season (at least on the weekends). 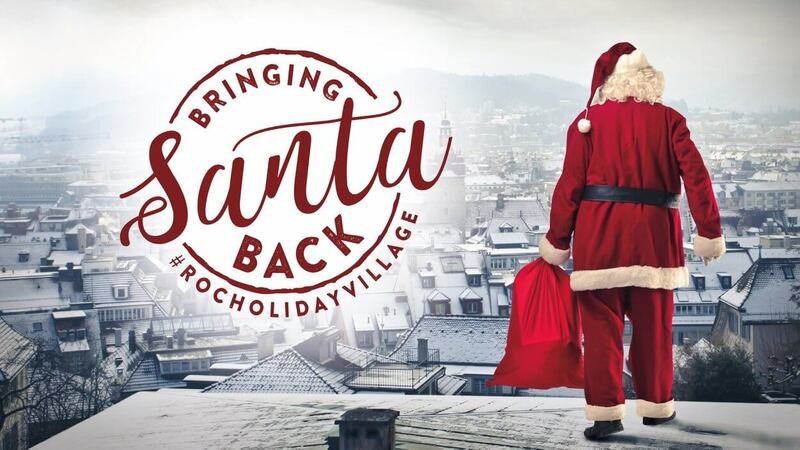 There’s no cost to get into the ROC Holiday Village, and visitors are free to explore shopping in a European-style Christmas Market, live music, carolers, visits with Santa, and much more. Warming stations, heated tents, and hot beverages should be enough to help you brave the cold and celebrate the season. There’s plenty for kids to enjoy in Santa’s Workshop, where they can visit with Saint Nick, have their picture taken, check out the giant model train display, and score a free cookie. Don’t miss Santa’s Mailbox just outside, where young letter-writers can send their compositions to the North Pole. Thanks to sponsorship by Wegmans, ice skating and skate rentals (first come, first served) are free during Roc Holiday Village hours. Depending on what day you attend, you’ll find either free crafts for the kids or a mini maker market in the Gingerbread House, so be sure to check the event schedule before you go. You can even try your hand at curling on December 15th with the help of the Rochester Curling Club! You can expect a different culinary experience every time you visit, as a different local restaurant will be popping up in the Lodge Restaurant & Bar each weekend. This heated tent brings apres ski coziness to downtown Rochester with comfy couches and drinks that will warm you from the inside out. Those who prefer to eat while they stroll will find abundant hot chocolate and cider, as well as an array of food vendors in tents in the village. To keep up with the constantly rotating vendors and activities, follow ROC Holiday Village on Facebook.